211 Bernard: JINCHALO IS HERE! Just in case you didn't gather from Julien's most recent blog post, Matthew Forsythe's Jinchalo is here! In store! As in, you can come and get it now! That's me up there, holding it in my hand! Jinchalo is a wordless comic, partly inspired by Korean comics and folk tales, about the fantastical adventures of one heartening, hungry heroine (that same expressive little one the comics world fell in love with in Matt's vastly successful Ojingogo). 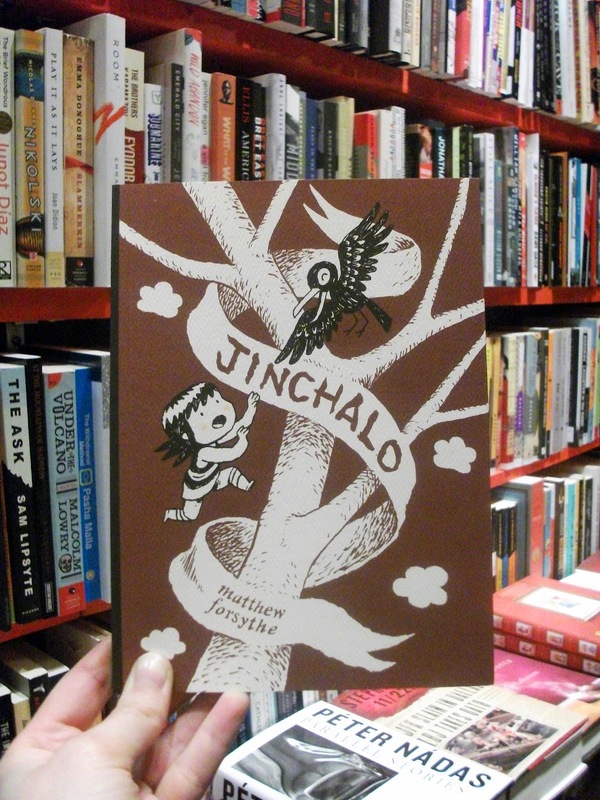 Matthew Forsythe will be launching Jinchalo in store this coming Thursday February 16th at 7pm. The artist will be giving a presentation and signing books. Not to be missed! RSVP ici.